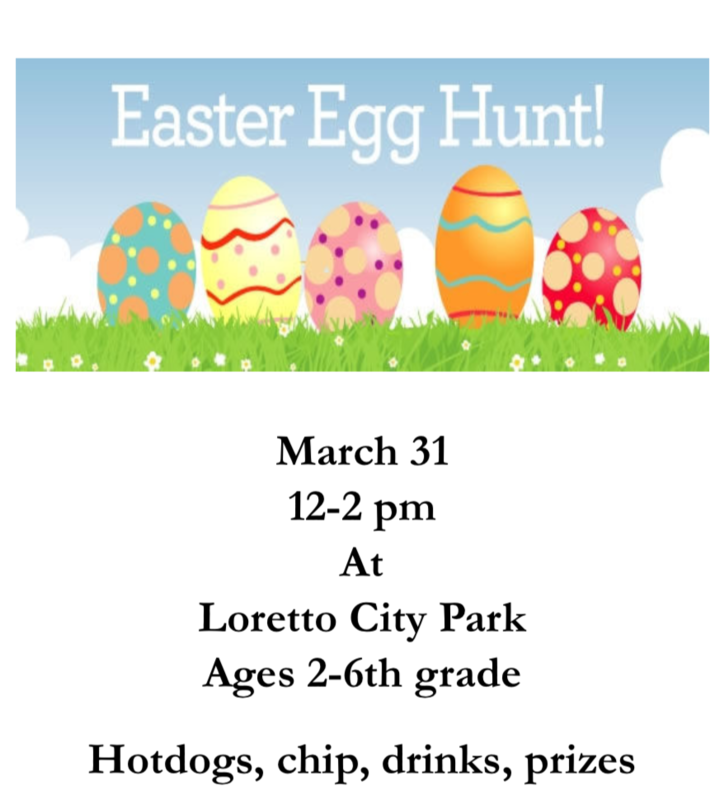 FBC Loretto sponsors the Loretto Community Easter Egg Hunt. The hunt will be held at the Loretto City Park (rain or shine) for children age 3 through 6th grade. Come out for lots of great activities including a telling of the resurrection story, door prizes, hot dogs, chips and drinks. The 2018 Easter Egg Hunt will be held March 31 from 12pm – 2pm. All are welcome!